Suzanne Wosko, parent of a student, and Rep. Cathy Abercrombie. 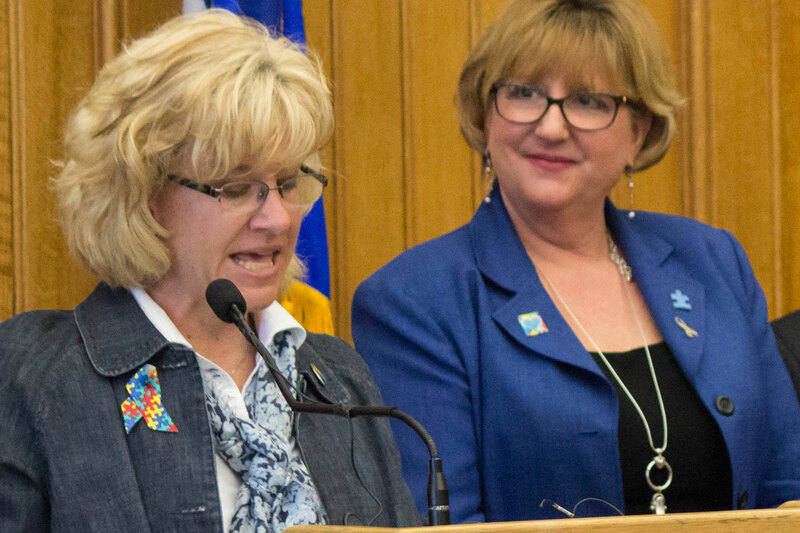 Rep. Cathy Abercrombie joined Suzanne Wosko, parent of a student, at the podium for a press conference during Autism Awareness and Acceptance Day at the State Capitol. April is Autism Month. Click here if video won't load.